IGN Build a Wii U! Written by William on August 6, 2011 and posted in Uncategorized. IGN have made the closest possible representation of what the next Generation Nintendo console, the Wii-U, could perform like. They have built a custom triple core PC (clocked at 3.2Ghz but that will likely be higher in the Wii-U) with 2GB of RAM (Wii-U will probably only have 1GB but the extra gigabyte was added to accommodate the overhead of Windows 7 that the Wii-U will not have to allocate space for. Here’s the post from IGN’s page. In May 2011, we published a report about Nintendo’s next console (otherwise known as Wii 2 or Project Cafe) including details regarding the design as well as specific hardware specs. 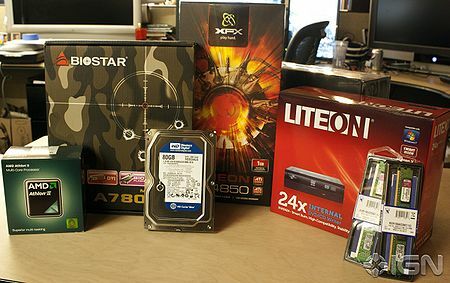 Based on the information we received and with help from our sources, we found retail PC components comparable to the ones Nintendo is expected to use in their new system and built a mock console of our own. Though the system will obviously look considerably different and the OS and games will be new and optimized, we wanted to get a taste of the raw power of the hardware by testing performance with recent current-gen titles. But before we delve too deep into the results, let’s take a closer look at the makeup of our system. IGN’s sources originally informed us that Nintendo would be calling upon a custom triple core CPU, similar to what is being used in the Xbox 360, for their next system, as well as a graphics processor built upon AMD’s R700 architecture. We called upon our trusted sources to help us determine the retail products with the closest possible clock speed and power, as well as fill in some of the blanks for other components, like finding a suitable motherboard and appropriate amount of RAM. Though the parts we used are comparable, our sources say there will be some significant variation in the final product. For one, the CPU is likely to be clocked above 3.2GHz and the GPU will feature a tweaked design but a similar speed to the HD 4850 we used. Most importantly, the Wii 2/Project Café’s total RAM is likely to be 1GB, but we added an extra GB to offset the Windows 7 OS, which is pretty taxing otherwise. Finally, we assembled the system in a MyOpenPC DOMA Pro acrylic case so we could clearly display the components. In total, our system cost $423.93, which, of course, accounts for retail markup. In the case of Nintendo, hardware and production costs will be drastically lower given the high volume at which the components will be produced, though the final retail price could be upwards of $300. Due to their similar processor architecture, we compared our custom-built system with cross-platform Xbox 360 titles. Though the difference in graphics performance varied from game-to-game, our mock system had one clear advantage over all of them: native 1080p output. While the Xbox 360 and PlayStation 3 are both capable of 1080p output, most games display at 720p. Of all the titles tested, Call of Duty: Black Ops had the clearest graphics improvement over the console versions, showing more detailed textures and greater draw distance. 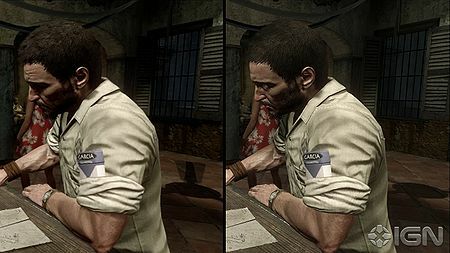 Character models, specifically smaller blemishes and wrinkles in skin, were far clearer, and in some cases, character models were wearing or carrying different equipment entirely. Framerate performance varied, though never dipped below 32 frames-per-second and reached as high as 56 frames-per-second. 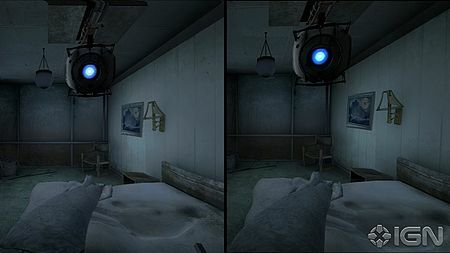 Valve’s Source Engine is certainly showing its age, but it is still going strong, and Portal 2 is one of the company’s best looking games to date. Our testing yielded less drastic differences between the console versions than Black Ops, but it still looked notably better on our Wii 2. Object edges and environmental textures were sharper, though the level of detail of the textures weren’t as noticeable. We were able to max out all of the graphics settings and maintain a constant 60 frames-per-second. 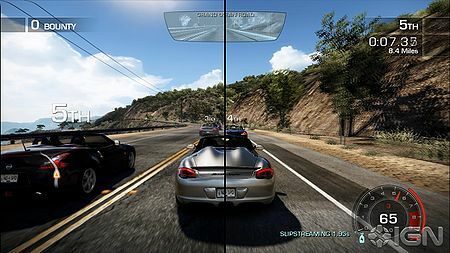 The differences between versions of Need for Speed: Pursuit were the hardest to discern, which has been effectively streamlined across all available platforms. Car models had similar levels of detail, though our system displayed sharper edges, making license plates more legible and the impact of collisions more three-dimensional. Lighting effects were more varied, though in some cases less natural, and distant textures were less blurry. At the settings mentioned above, our custom system ran above 32 frames-per-second and capped out at 40 frames-per-second. When dealing with PC games, the question most passionate players ask is: “Can it run Crysis?” The phrase has become so common it is actually an Achievement/Trophy in the console versions of Crysis 2. Though more optimized than the original, Crytek’s latest is still a graphical marvel, and much to our surprise, our system could run the game at “Very High” graphics settings with a framerate of over 30 frames-per-second. 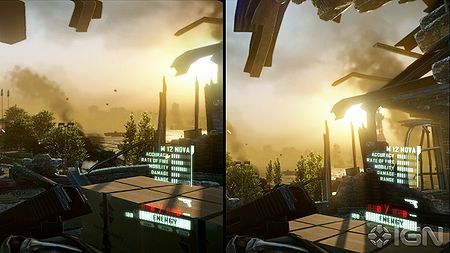 Although it proved capable of running Crysis 2 well, the differences between the console versions were marginal, with only slight variations in edge detail, textures, and lighting effects. Will the Wii 2/Project Café blow the windows off the Xbox 360 and PlayStation 3? Judging by our tests, probably not, but in most cases it did a small, albeit noticeable, bump in performance and graphics. There are also many variables left to account for, specifically how much more powerful will Nintendo’s custom components be and how the optimized OS and rumored in-controller displays will impact performance. Fortunately, we don’t have long to wait to find out; Nintendo will reveal its next console at its E3 2011 press conference on June 7. IGN will be on-hand delivering all of the news from the event, so be sure to check back for extensive on-location coverage, but in the meantime, submit your feedback in the comments section below.